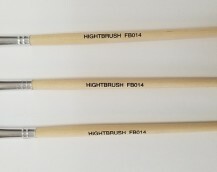 WHITE BRISTLE MARKING BRUSHES MARKING OR TOUCHUP , WHITE. 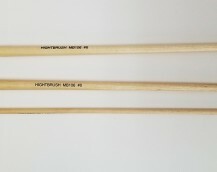 BRISTLE TIN FERRULE AND SMOOTH PLAIN CLEAR COATED WOODEN HANDLE 18”. GOOD FOR STENCIL WORK AND TOUCHUP. 1/4", 1/8", 3/16", 5/32", 7/32", 9/32"
1 1/4", 1-1/8", 1", 3/4", 5/8", 7/8"
FLAT SOFT BRISTLE ARTIST BRUSH , SOFT BLACK HAIR. SEAMLESS FERRULE, GREAT FOR TOUCHUP WORK.